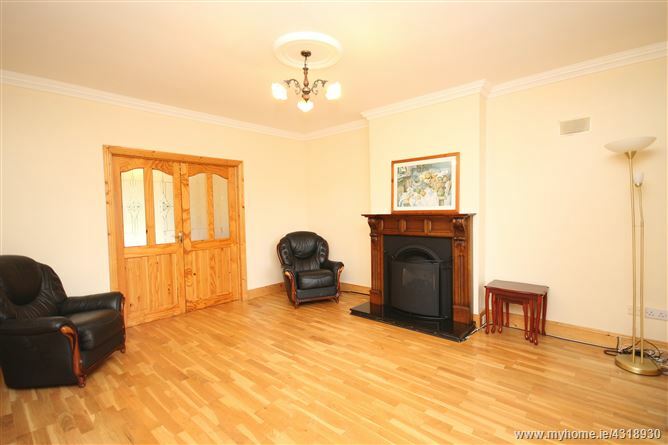 Jordan Auctioneers are delighted to offer this fine detached 5 bedroom family home to the market. 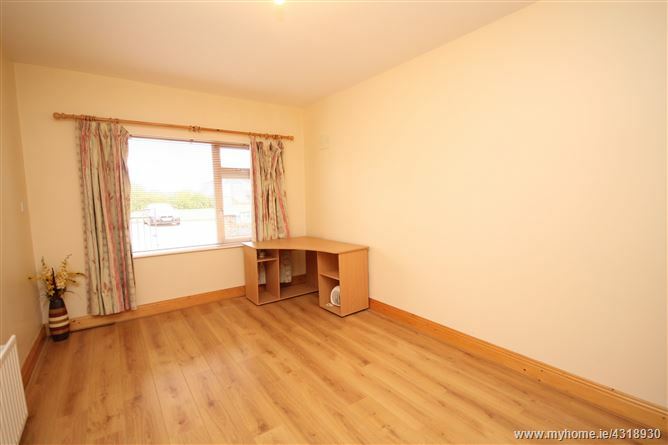 Located in the sought after village of Caragh with primary school, church, shops and pub on your doorstep only 5 minutes from Naas. 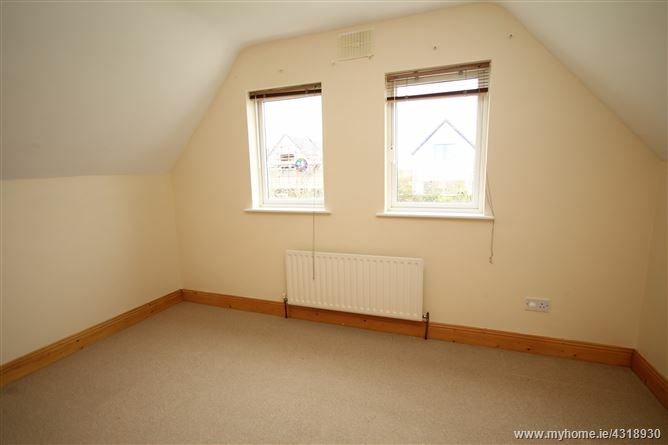 Positioned at the end of a quiet cul-de-sac of 15 detached houses overlooking a green area within walking distance of all the amenities. The house was constructed in 2002 extending to c.181 sq. m. (c.1,950 sq. ft. ) of generous living accommodation. 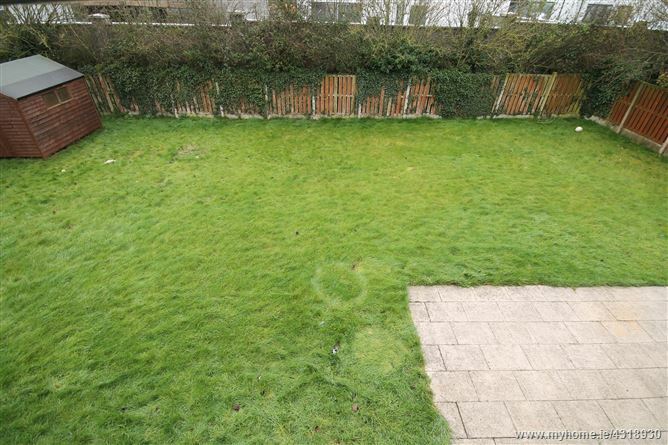 Approached by a large cobble loc drive to front with side access on both sides of house with gates to a large rear garden. Features include maintenance free brick/dashed exterior, PVC double glazed windows, paved patio area, PVC fascias/soffits and gas fired central heating. Naas town centre 3 ½ miles, Newbridge 6 ½ miles, Sallins 4 miles offering an excellent selection of shopping, educational, recreational, pubs and restaurants all on your doorstep. Commuters are well catered for with train service from Sallins station, bus from Naas and M7 Motorway access at Junction 9. 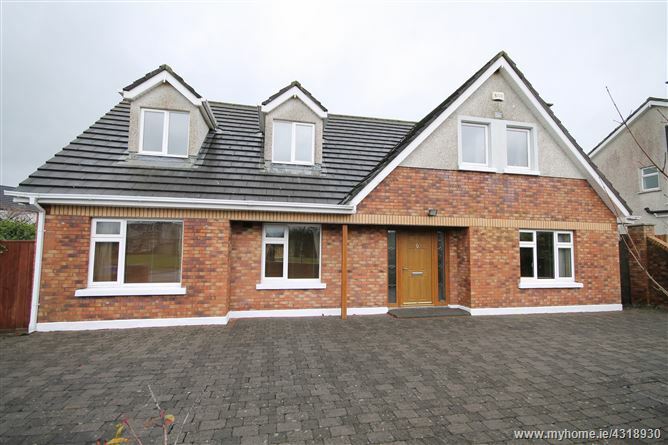 Large cobble loc drive to front, side access on both sides of house with gates leading to large rear garden with paved patio area, outside tap and barna shed. Mains water, mains drainage, gas fired central heating, refuse collection and alarm. Whirlpool gas hob, Indesit double oven, Normende dishwasher, Hotpoint freezer, Bosch washing machine, Hotpoint fridge, carpets, curtains, blinds and light fittings. •	Large cobble loc drive. 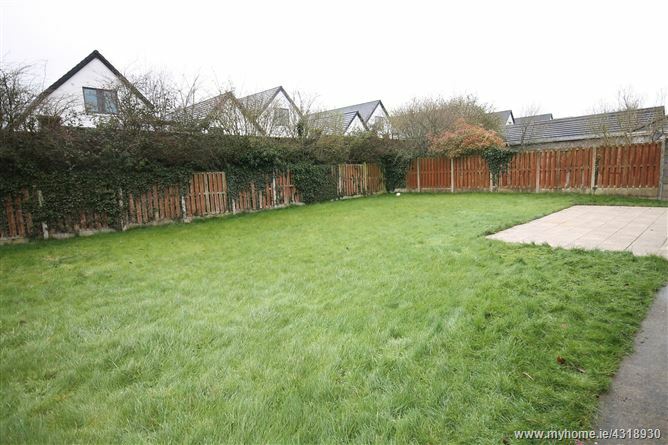 •	Large rear garden with paved patio area. •	End house of quiet cul-de-sac. •	Sought after village environment. 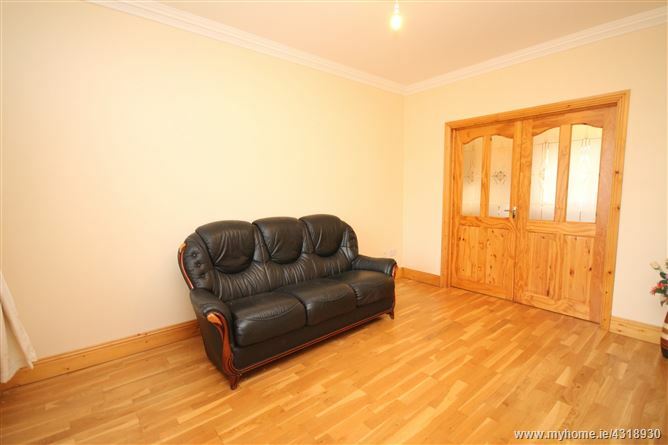 •	Easy access of Naas, Newbridge, Sallins. 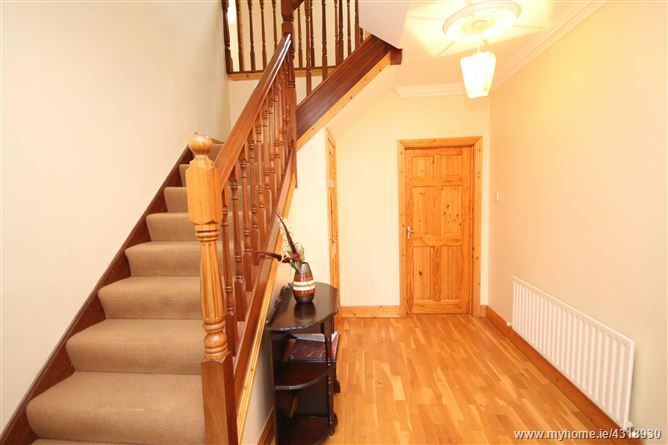 Entrance Hall: 4m x 3m with coving, oak floor and understairs storage. 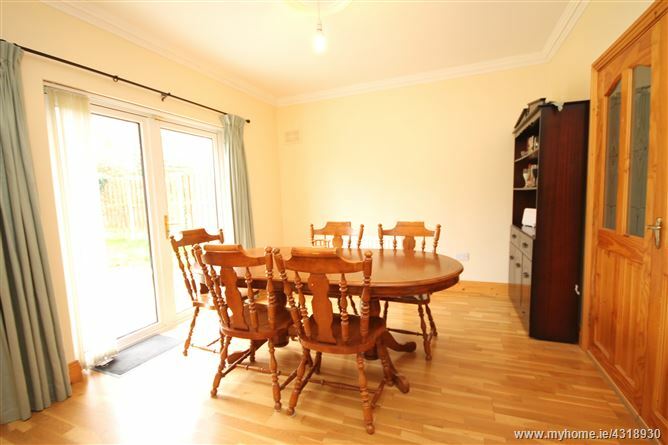 Diningroom: 4.2m x 3.37m with oak floor, coving and French doors to rear garden and paved patio area. 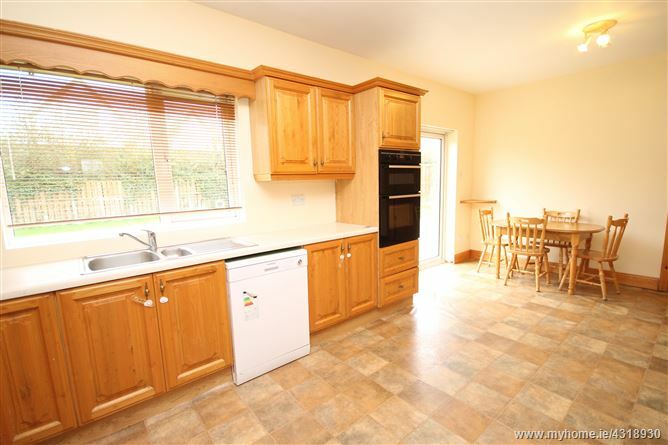 Kitchen: 6.05m x 3.36m with oak built-in ground and eye-level presses, s.s. sink unit, Indesit oven and grill, Whirlpool gas hob, extractor unit, breakfast counter and French doors to paved patio area and rear garden. Utility: plumbed, fitted presses, gas burner. Toilet: with w.c., w.h.b. and shower. 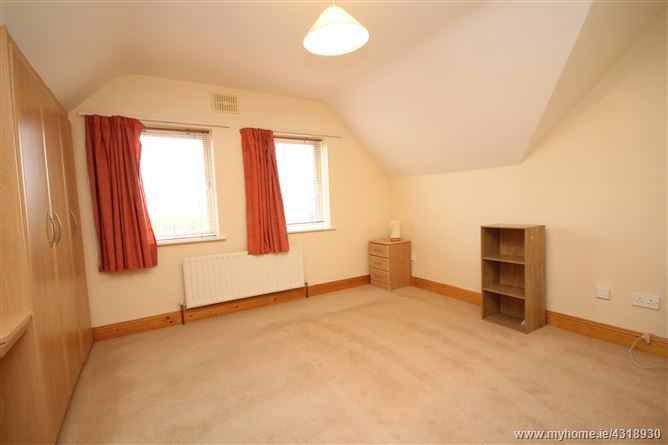 Bedroom 5: with double built-in wardrobes and laminate floor. 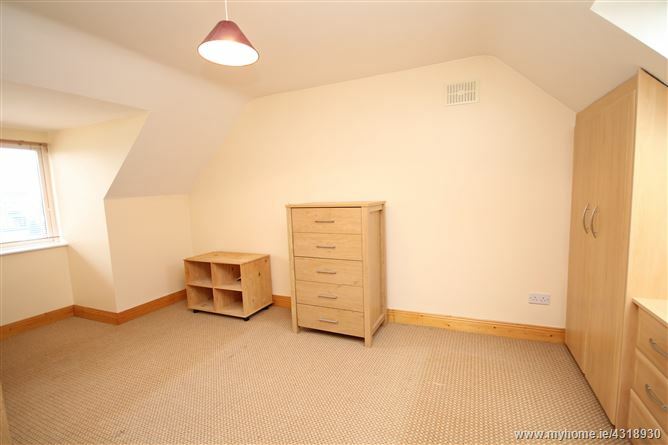 Bedroom 1: 5.65m x 3.45 including ensuite with range of built-in wardrobes. 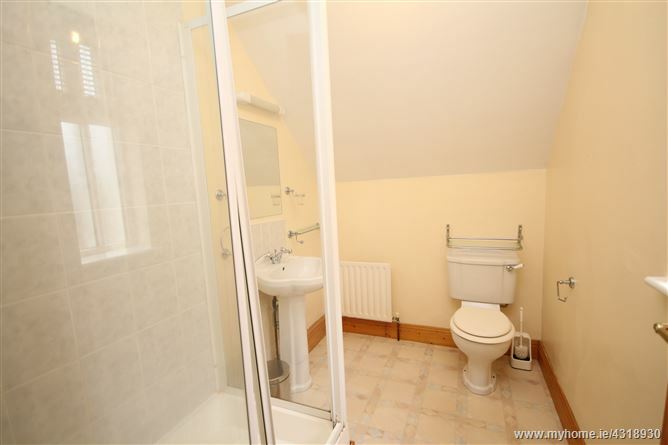 Ensuite: shower, w.c. and w.h.b. Bathroom: Jacuzzi bath with shower attachment, w.c., vanity w.h.b. and fitted press. 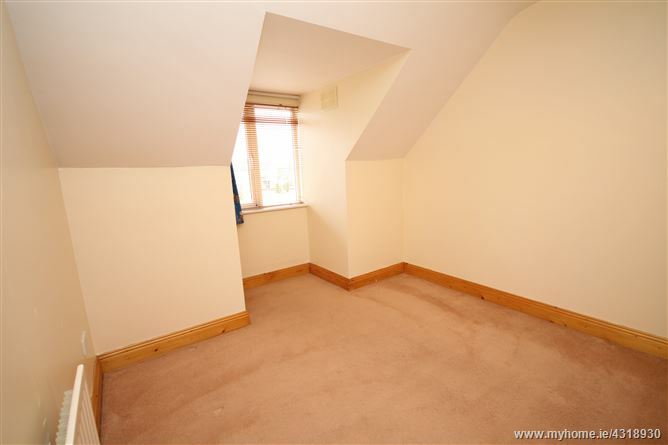 Bedroom 2: 5.55m x 3.23m with range of built-in wardrobes.